The goalkeeper fills a very unique position on the pitch. As such, there are specific soccer goalie rules that all keepers must follow. The biggest difference is they’re allowed to use their hands. Keepers need to know when and where they can pick up the soccer ball to prevent them from accidentally giving away a penalty or free kick. Outside of the penalty box, the standard rules of the game apply. 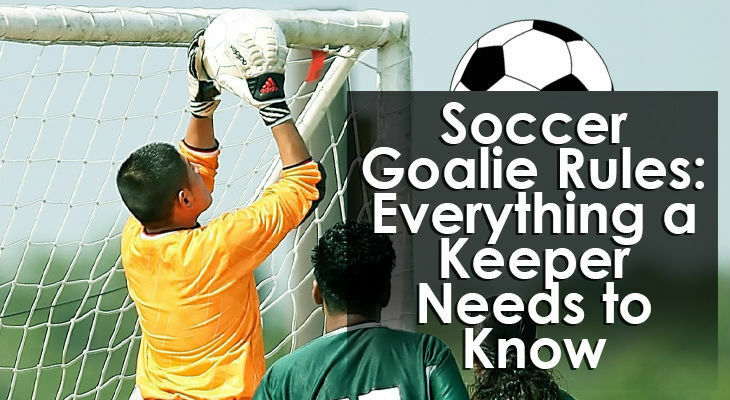 While keepers have the extra responsibility of learning the soccer goalie rules, they’re fairly simple and most players will pick them up in no time. To help you out, I’ve created this blog post breaking down all the rules you need to remember. What Equipment Should a Soccer Goalie Wear? Goalkeepers are required to wear a different colour than the rest of the players. The reason for this is because the rest of the players on the pitch and the referee need to be able to clearly identify them in a split-second. 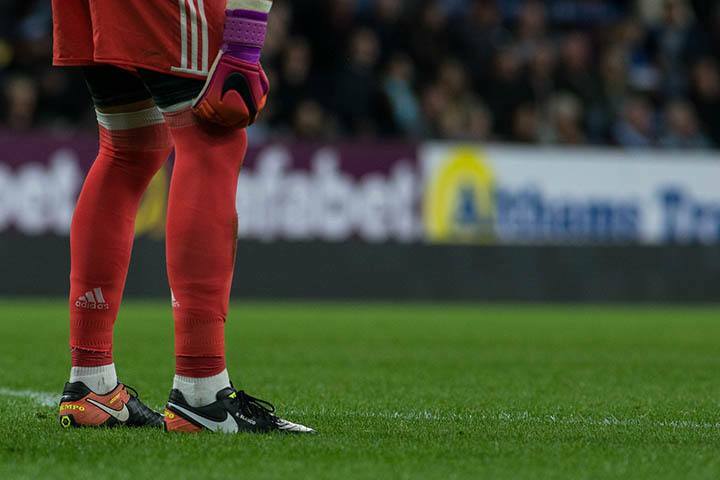 Other than that, goalies have to wear appropriate socks, shin pads, and boots just like any other player competing in the match. Also, the goalie needs their own pair of gloves to wear. When and Where Can the Goalie Pick Up the Ball? Unlike the rest of the outfield players, the goalkeeper can use any part of their body to prevent the ball from going into the back of the net. But they only have this privilege when they’re in the penalty box. In this area of the pitch, they can punch the ball away from crosses, parry shots, and even pick up the ball if they want to throw it to a teammate. If they do decide to pick the ball up, they’re only allowed to keep it in their hands for a maximum of 6 seconds. This is to prevent time-wasting and keep the game running smoothly. If the keeper does hold on to the ball for too long, the referee may issue them a yellow card. If a teammate uses their head or chest to send the ball back, then the keeper is allowed to handle the ball. But if a teammate kicks the ball back, goalkeepers aren’t allowed to pick it up. To make these soccer goalie rules even more complicated than they already are, a goalkeeper is allowed to pick up the ball from a kick if the referee deems that the ball was not originally intended for the keeper. This one is a bit harder to officiate, but it’s usually called in favour of the goalkeeper unless the pass is blatantly directed at them. Finally, goalkeepers may not pick up the ball if it is thrown to them directly from a throw-in. Outside of the penalty area, the goalie needs to abide to the same rules as the rest of the outfield players. When the ball is put out behind the goalline by the opposing team, then a goal kick is awarded to the defending team. Another defender could take the goal kick if the keeper can’t kick the ball far or if they’re carrying an injury that prevents them from making the long kick. 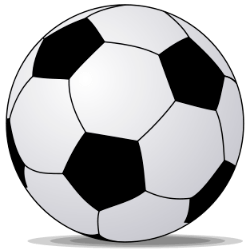 For a goal kick, the ball is placed anywhere on the line of the 6-yard box. When the ball is kicked, the ball must pass out of the penalty box for anyone on the same team to touch the ball. Like any other player on the pitch, the goalkeeper can pass the ball to their teammates by kicking it along the ground or in the air. They can also throw the ball to one of their teammates if they have the ball in their hands. The final option is to drop the ball and then kick it once it's at their feet. However, once the goalkeeper has dropped the ball, they cannot pick it up again even if it’s within the penalty area. It’s often said that goalkeepers are the most protected player on the pitch. And referees certainly do award keepers a lot of fouls that may not have been called in other areas of the field. For example, you often see a foul given when players jostle the keeper as they’re rising to claim a cross, putting them off balance and making them flap for the ball. While they are given more protection, keepers can commit fouls just like any other player. Except they need to be even more wary when challenging for the ball as they’re the last line of defence and any mistake risks being a red card offence. As mentioned earlier, touching the ball with a hand or arm outside of the box can result in a yellow or red card depending on whether it was a goalscoring situation or not. Mistimed tackles also carry the same penalty. Keepers have to be very careful when rushing off their line and need to make absolutely certain that they touch the ball and not the player when making a challenge. Just like any other player on the team, if a goalkeeper commits a foul in the box, a penalty kick is awarded to the opposition and the keeper may also receive a card for the offence. If a penalty is awarded, the keeper must remain on their goalline and between the two posts before the opposition player first strikes the ball. Once it has been kicked, the goalie may dive slightly forwards as they plunge to either side and this can help narrow the angle. If they’re judged to have moved from the line before the penalty is taken, then the referee can call it back and let the opposition player take it again. In the modern game we see today, goalkeepers are increasingly skilled at using their feet just like any of the other outfield players. This has resulted in more and more teams playing with a sweeper-keeper who is expected to contribute to the team keeping possession. While this has many benefits and certainly helps the team to keep the ball, one of the downsides is that the keeper risks being more exposed. This makes mistakes at the back are more likely to occur as the emphasis is on passing your way out of danger. Sweeper-keepers more than anybody need to understand the soccer goalie rules as they often have to make split-second decisions where any mistake may result in a red card or their team conceding a goal. In the dying seconds of a game when a team really needs a goal, goalies are often sent up for the team's last corner in a desperate attempt to get a goal. While this is quite rare, it does happen and the keeper can score like any other player. Such as the legendary Brazilian Rogerio Ceni who scored 131 goals over his career and the renowned Paraguayan Jose Luis Chilavert who is the only keeper to every score a hat-trick. While goalkeepers are not usually known for their goal scoring prowess, these two examples go to show that goalies can influence the game in more than one way. And that concludes all the soccer goalie rules a keeper needs to know. 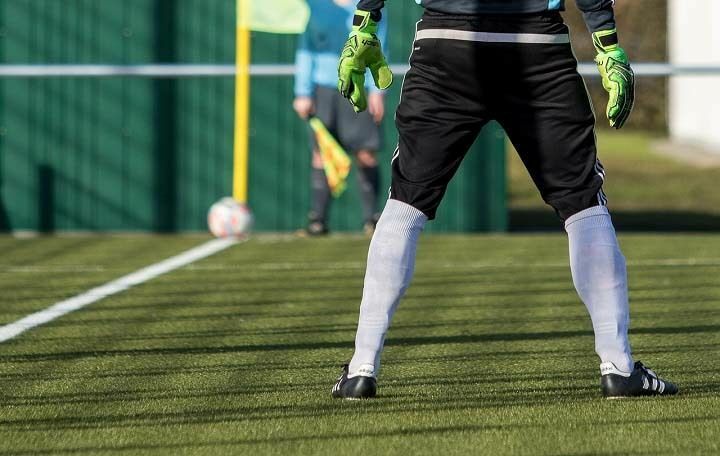 Being the last line of defence (and being such a difficult position to play), the goalkeeper needs to do everything within their power to help the team keep a clean sheet. Which is why it’s imperative keepers have a good understanding of the soccer rules that apply to them and their position.